We are the prominent manufacturer, exporter and trader of PV Installation Testers, these are known for their international quality standard. Our PV installation tester are available at very reasonable price, our clients can avail these quality product at very reasonable price. 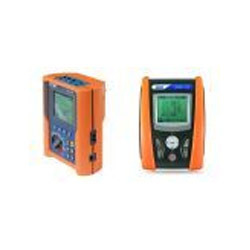 Easy to use with a wide range of functions, Solar & PV Installation Testers have been designed for carrying out electrical safety verifications on photovoltaic systems. They are in compliance with the safety requirements as well. To top it all, the product is provided with an internal memory and an optical/USB interface to enable connection with a PC and for transferring the measured data. Testing Solar & PV Installation is used for measuring and recording the efficiency of single phase photovoltaic systems. Our product immediately identifies the problems of the system in order to solve them at the earliest. The device enables measuring of radiation and temperature with preliminary automatic synchronization between main unit and the remote unit. When the two units are synchronized, they then guarantee accuracy of measurements. 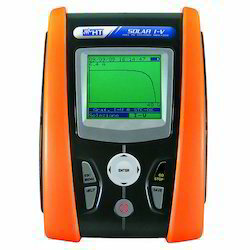 Looking for Solar and PV Installation Testers ?